What is the difference between asphalt and concrete driveways? Asphalt is generally more cost effective than other paving surfaces for areas measuring 150 square metres or more. In some ways asphalt is more durable as it is resistant to ants and weeds. Bricks, slabs and pavers are prone to shifting move at corners and bends, leaving gaps in the surface which allow water and weed ingress. Asphalt has a darker colour and creates less glare than lighter concrete and limestone surfaces. Asphalt, concrete and pavers have similar lifespans, but asphalt can be resurfaced with a significant time and cost saving, unlike concrete and pavers which need demolition, removal and full replacement. Check out our past projects to see how we lay asphalt. Alternatively, if you have any questions you can contact our team today or request a free on-site quote. Getting your new driveway has never been easier! 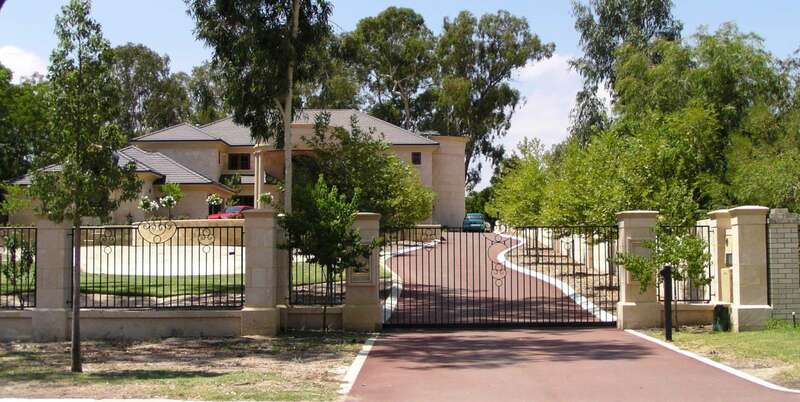 We’ve had more than 29 years experience in planning and installing driveways, hardstands, car parks and more for our Perth customers. Our team of dedicated and friendly experts are here to help you to find the best solution for your need. We own all our own equipment and are located in Maddington. Our team of experts can help you to understand what you need and even provide an estimate over the phone. Trevor and Paul are available to come to you for an obligation free measure and quote. On site, they can also provide a one-on-one consultation to ensure we your needs are met and to give you the best cost for a quality result. We’re able to provide you with options to suit your budget and needs without compromising on quality. Once you’re ready to proceed, we will work with you to get the project completed for you without any fuss. © 2019 NK Asphalt. All rights reserved.